The 2018-19 season will start in the first or second week of September. Dates to be decided. There will be no booklets circulated again this year. The booklet will be online in PDF format if you wish to print yourself. 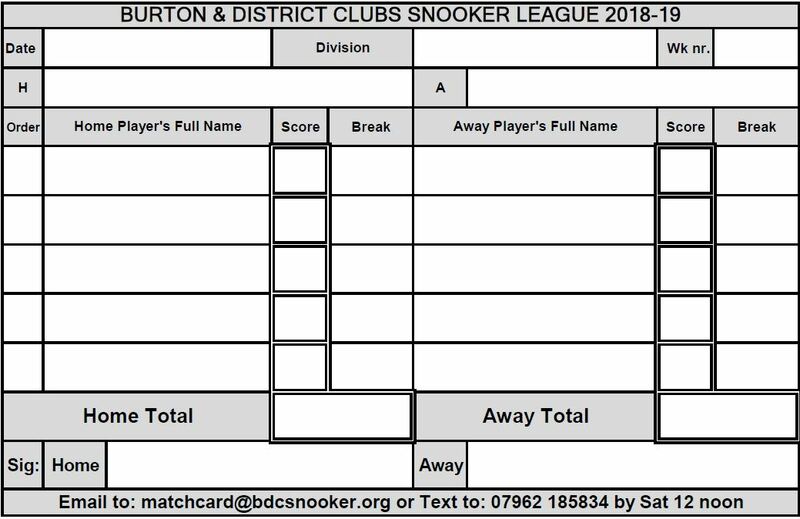 We will be circulating A4 laminated sheets for each team to put up in your clubs like we did last year. Matchcards and Orme matchcards will also be circulated. Further details will appear here. Standing Committee: Peter Maguire, Linda Harrison, Owen Jones, Ian Shrive, Paul Slater, Kate Stirling and Mark Stirling. Presidents and Orme Shield/Plate competitions are unchanged from last year. 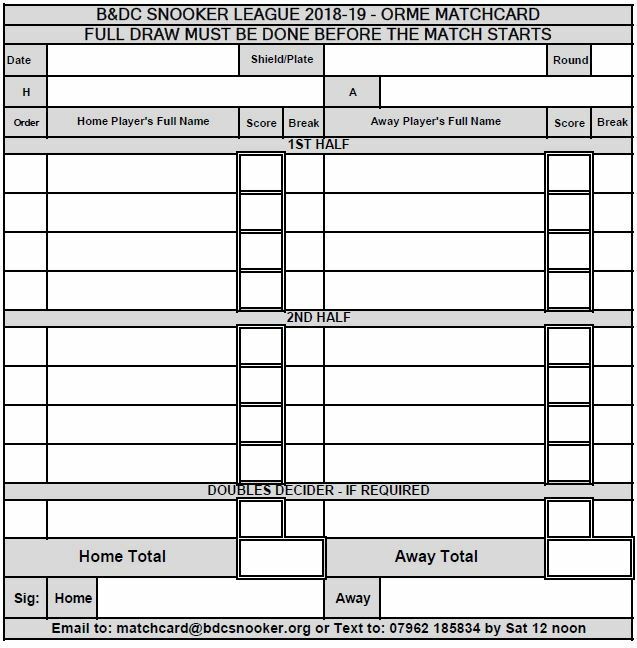 The Orme Matchcard is shown below. The full draw must be done before the game starts. Including the doubles decider. You will need to send a photo of the match card attached to an email or attached to a text message. The email and text number are given below. The email or text must be with the Fixtures Secretary by noon on the following Saturday.